Open Road Media, 9781504051989, 678pp. A "riveting . . . sweeping epic" (Richmond Times-Dispatch) of one man driven by gold fever, by the #1 New York Times-bestselling author of North and South. At the height of California's Gold Rush, men left everything behind for the chance at striking it rich. 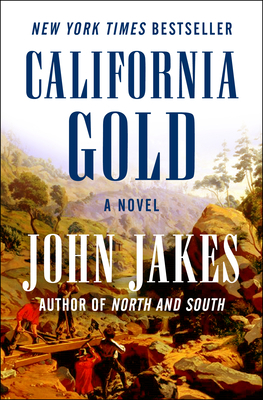 Now, some thirty years after its peak, gold fever still entices adventurous Easterners like James Macklin Chance, a poor Pennsylvanian who is drawn to California by the dream of lasting wealth--a dream so powerful he'll stop at nothing to see it through. Along the way he'll encounter grand passion, ruthless enemies, and larger-than-life titans like Leland Stanford, Theodore Roosevelt, and William Randolph Hearst, who helped shape a country's destiny. "The best historical novelist of our time" (Patricia Cornwell) once again spins a sweeping tale of power and passion, as he did so masterfully in the Crown Family Saga, the Kent Family Chronicles, and the North and South trilogy.